Stocked with a water-filled moat on the bottom, Barketek’s Geowl keeps ants from crawling into the food. It’s hefty, too—the robust, ceramic outfitted with rubber prevents the bowl from sliding, no matter how rowdy your hungry pup can be. Plus, the tapered edges help protect long, floppy ears from getting soggy. Billy Wolf’s Dash Travel bowl folds into itself and snaps shut with an antique brass snap that’s sturdy and stylish. Paraffin wax coating lends a cool, rough-and-tumble look and makes the whole thing waterproof, which means you can use it for food or water and clean it out in a cinch. 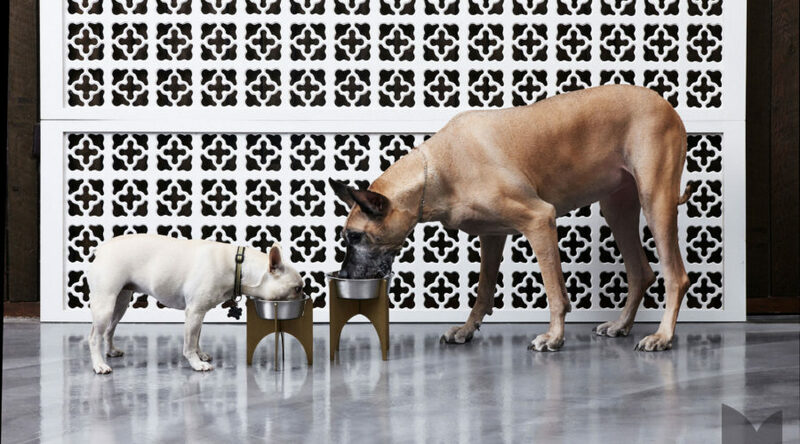 When it comes to basic-but-cool dog feeders, Waggo takes the kibble. Hand-glazed pet bowls and treat jars (they’re 20 percent cheaper when you buy as a set!) come in eight colorways that walk the line between understated and playful. We dig the Chalkboard option, which you can write on—hello, free personalization! This three-bowl feeder delivers on the extras without taking up a lot of space. It’s perfectly suited for homes with multiple cats or if you want to keep your feline’s dining area stocked with oh-so-soothing grass. Pick from three woods for the base: teak, rosewood, or ebony. 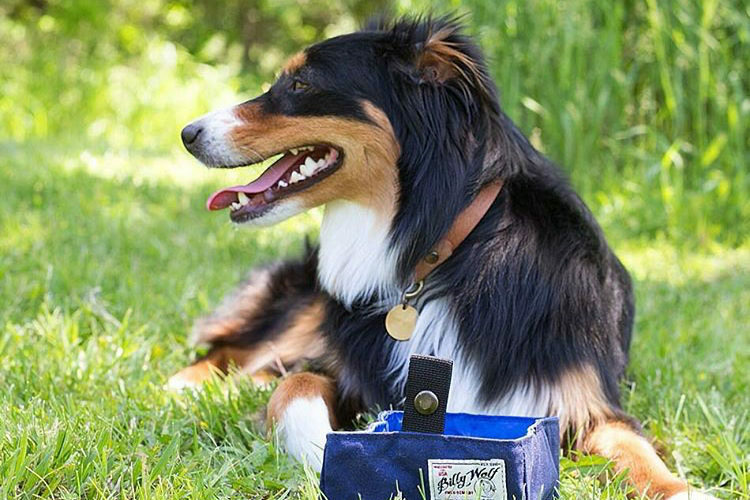 Utah-based design firm M3LD merges classic and contemporary design to develop sculptural pet gear you’ll want to show off. A solid steel base and rubber bottom keeps the stand firmly planted, while the stainless steel pet bowl resists rust and bacteria. This connected treat dispenser works double-duty and then some. Keep an eye on your furballs when you’re away through the built-in camera, talk to your little one from your phone, and toss a treat at the touch of a button. On top of all this, Furbo also sends you an alert when Fido barks, so you can suss out the situation. Although we’re not advocating leaving your pack alone all day, it’s handy to have access when you’re out longer than expected. 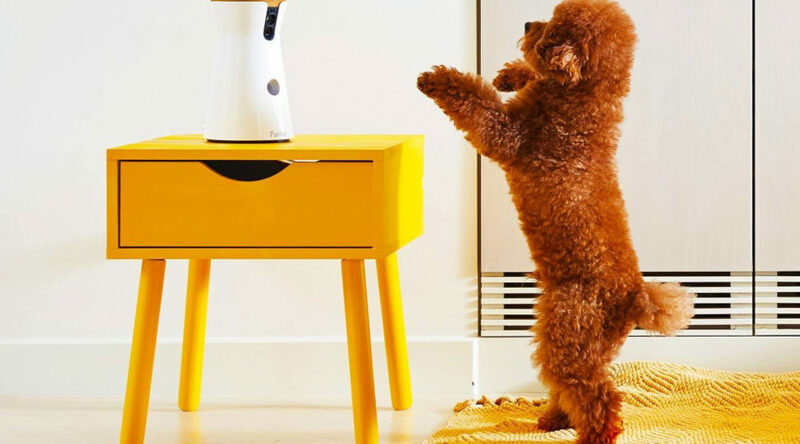 Just don’t be surprised if Fido develops an affection for his treat robot. Bags of dog food, scattered pet bowls and treat jars, tangled leashes—all that mess disappears when you have a chic dining station that matches the rest of your furnishings. 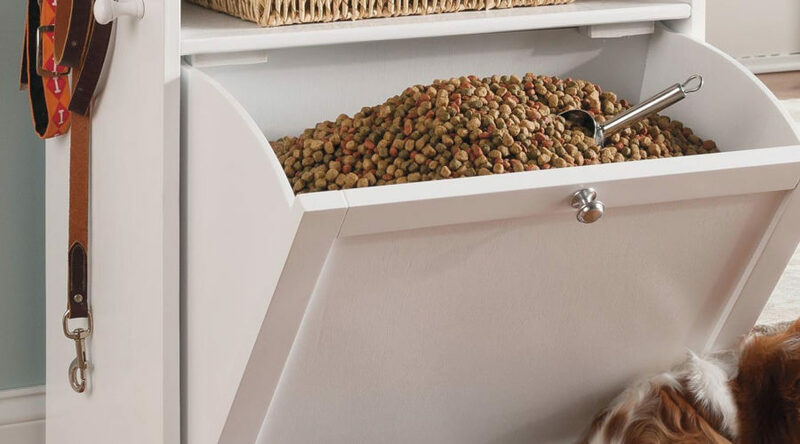 Store up to 10 pounds of kibble in the big drawer (conveniently located at waist level), and when your pup is done eating, shut all the doors to keep clutter to a minimum. Use the additional surfaces for decor or to stash other doggie essentials, like treats and toys. Raised feeders offer a myriad of benefits—from better digestion to less strain on neck and joints. 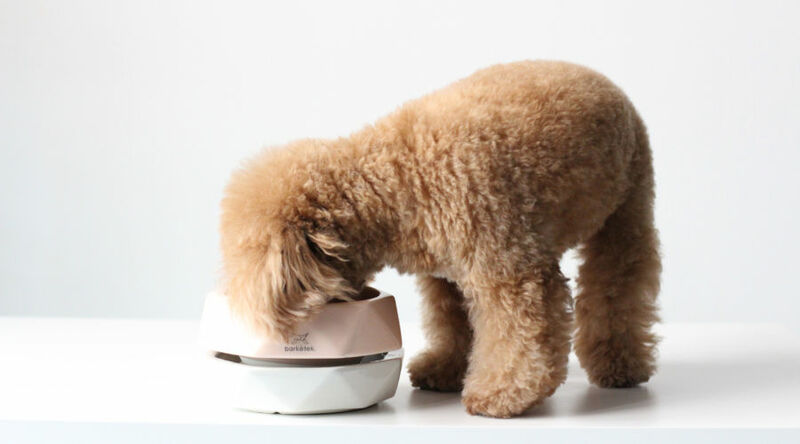 You’ll find plenty of elevated pet bowls on the market, but few are as handsome as Mr. Dog’s. 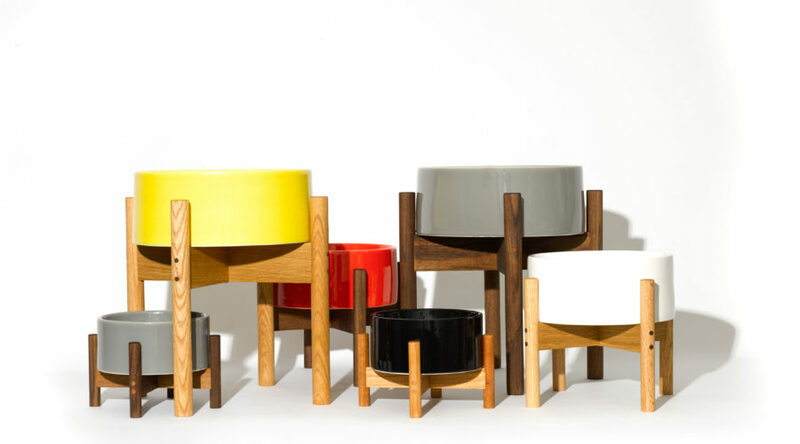 Stands are routed by hand and finished with food-grade walnut oil, and the earthenware bowls are made in small batches in Portland by Mudshark Studios. 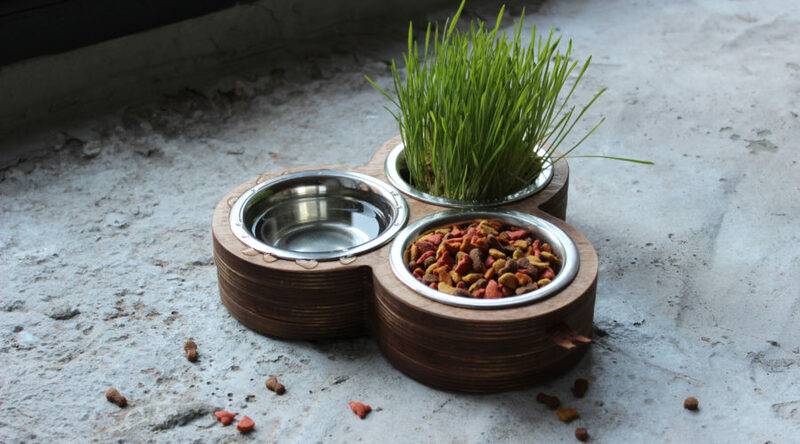 Both pieces come in three sizes to suit your pup’s size and food needs. Sachi Ushihara and Don Takemura couldn’t find the type of durable, non-toxic, sustainable bowls they wanted for their rescue cat, Cubby. So, they created one themselves. 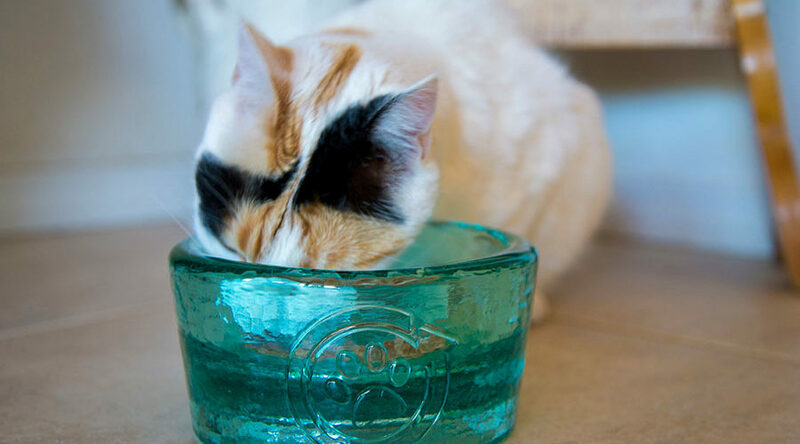 Working with artisan glass makers near the duo’s hometown of Berkeley, the couple makes these tip-proof wares for cats and dogs using recycled glass from California. Glass may not seem like the most sound option for pet gear (except when you consider that the material makes for the safest food packaging); however, the extra-thick design ensures the bowl will last. In fact, PawNosh is so sure these pieces won’t break, the company guarantees its products for life. 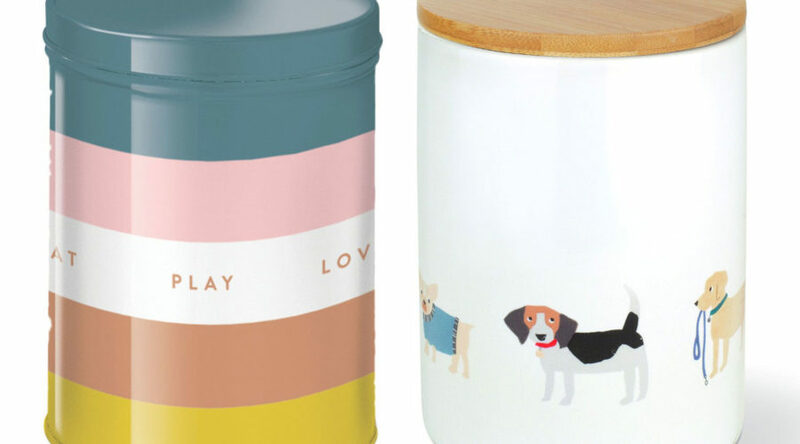 California’s Fringe Studio designs charming ceramic pet bowls and treat jars with sweet illustrations and sayings, like “Eat, Play, Love.” The pieces might be lovely, but they’re not too precious. 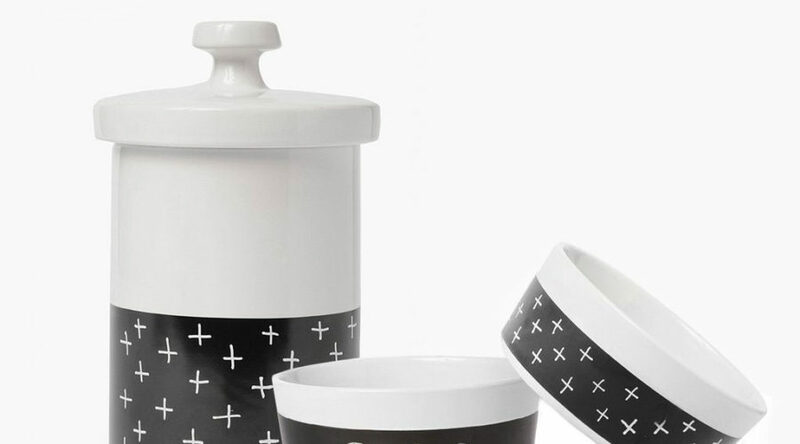 Pup dinnerware can go in the dishwasher, and nothing costs more than $25.